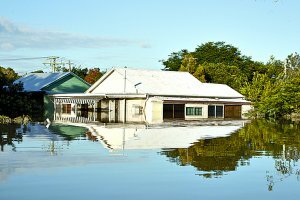 IN the wake of the flood crisis, the Archdiocese of Brisbane is moving into a new phase of service, seeking to do what it can for parishioners, staff and the wider community. The archdiocese reports there was only minimal damage to St Stephen’s Cathedral precinct, parishes and schools, however over one third of parishes have had their communities affected with damage to homes, businesses and tragically in some cases loss of life. Numerous Catholic parishes and schools have already acted as relief centres and focal points for the delivery of clothing, hot meals and essential services. Others, like Indooroopilly parish, will continue in this role for some time. At a special meeting of the main agencies of the archdiocese held last Monday (including education, Centacare social services and parish support services) further practical plans were advanced to form part of the Church’s central response to the recovery in South East Queensland. Among these were to identify accommodation available within the archdiocese to house people in need; assist parishes to rebuild in the most affected areas; provide resource kits on government grants available to individuals; establish a flood counselling phone line with the assistance of Centacare’s counsellors and finally to establish a Catholic Emergency Relief Fund to provide more targeted financial assistance to those in greatest need. Similar planning is occurring in other Dioceses throughout Queensland, with all ensuring that they are doing everything they can to assist. Brisbane Catholic Education and other religious order schools will play a key role in helping communities return to normal functioning. BCE executive director David Hutton said the major challenge in the days, weeks and months ahead would be to support school and staff families impacted by the flooding. “There are many families of students and staff who have been hit hard by this disaster,” Mr Hutton said. “I think it’s important for our students that they are able to get back into a normal routine as soon as possible, so we will endeavour to open our schools for Term 1 as scheduled on 25 January. Speaking in an open letter to the people of Queensland, Archbishop John Bathersby empathised with the many people who had been affected by the disaster. “On behalf of the Catholic Community of Queensland, I offer my continued prayerful support and deepest sympathy to the family and friends of those who have lost their lives in this terrible tragedy of the floods which have caused such destruction to large areas of our state,” Archbishop Bathersby said. “We remember especially those people who are still reported as missing, and those relations and friends who are filled with enormous pain as they wait anxiously for news of their loved ones. “Our prayers are with all those who have been affected by this flood through the loss of their homes, properties and possessions. As Archdiocesan relief plans become finalised notification will be given to parishes, staff and through The Catholic Leader. For enquiries for contributions to these funds please phone (07) 3336 9230.